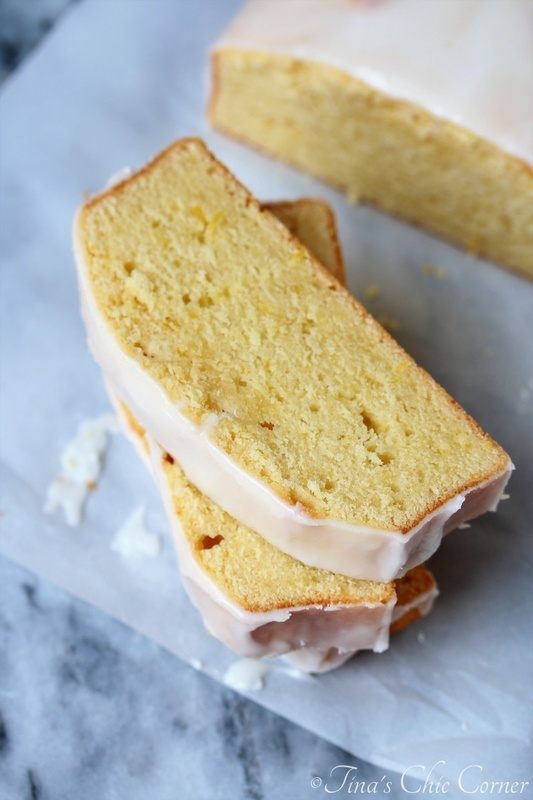 If you’re looking for a lemon dessert then this lemon pound cake is it. I’m kind of weird when it comes to lemon desserts. If I’m presented with lemon pie, cake, cookies, you get the idea, I initially politely pass. “I don’t like lemon desserts,” I’d say. But somehow I usually cave and end up trying it. Usually it’s a piece off of my husband’s dessert. Let’s face it, I love pie, cakes, and cookies, so it’s hard to resist. “Hey, that’s tasty,” I say. I guess you could say that I don’t like the idea of lemon desserts, but when it comes down to it, I really do actually like them. Perhaps the chocoholic in me thinks that a lemon dessert could never hold a candle to a chocolate dessert so I’m not easily impressed by them. This odd aversion even overflows into cheesecake. I regularly ask at restaurants what kind of cheesecake they are offering so I can attempt to avoid the lemon. Yes, I really do understand that the amount of lemony-ness to be found in a cheesecake is near zero and that this really does make me a bit of an odd duck. I can’t explain it, but it’s how I roll. I was feeling something summer-y and, believe it or not, chocolate was not my first thought. (Who am I?) I wanted something lemony because lemon things are refreshing and that’s something that comes to my mind when I think of summery foods. That’s where this lovely lemon pound cake comes in. I realize that pound cakes can be rather heavy (no pun intended), but the lively citrus kick really does make it work even in hot weather. Have you ever had a (so called) lemon cake and it just tastes like yellow cake? I feel like a Food Network judge, but I’ll say it anyway. If you’re selling me lemon cake then I better taste lemon. 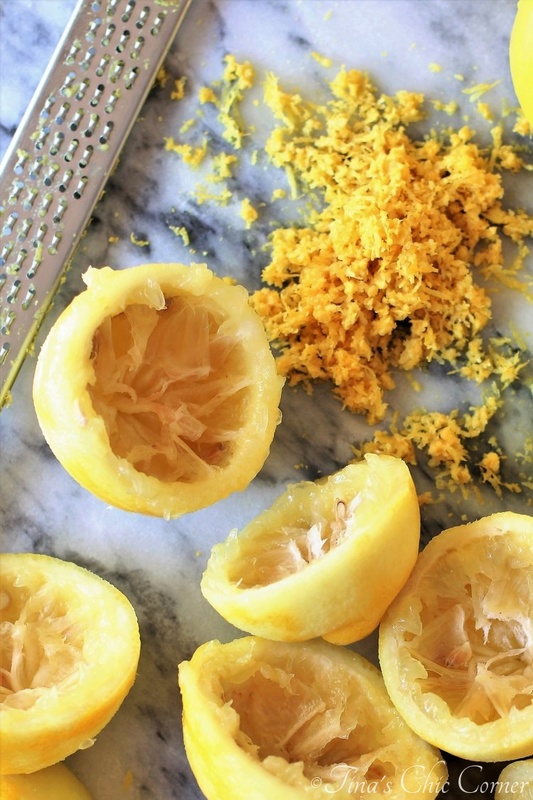 The trick is to use fresh lemon juice and zest. It may be a little annoying to drag out the zester and squeezer, but it’s 110% worth it. I’ve used imitation lemon extract and bottled lemon juice before and it does not make something taste especially lemony. In fact, cheap lemon extract does an amazing imitation of an off-putting cleaning solution. That’s never something you want associated with food. So it bears repeating, the moral of the story is to go the extra mile and use fresh lemons. 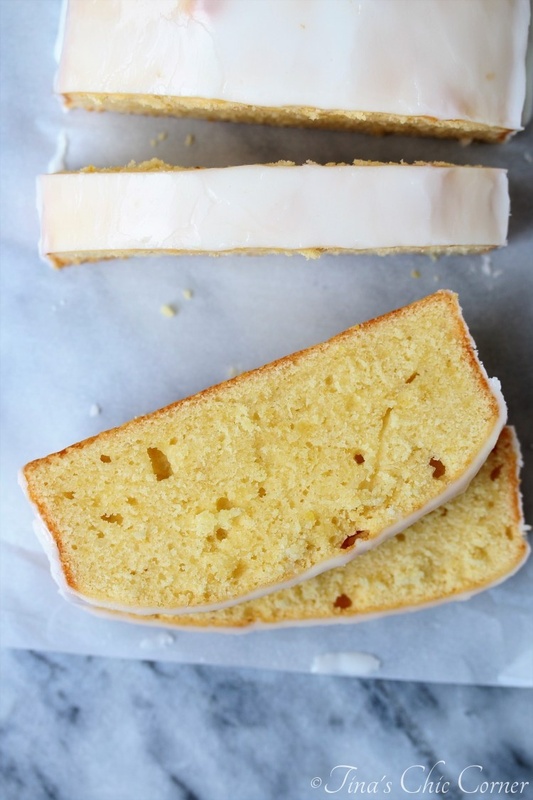 The cake texture is your standard issue pound cake, dense and moist. 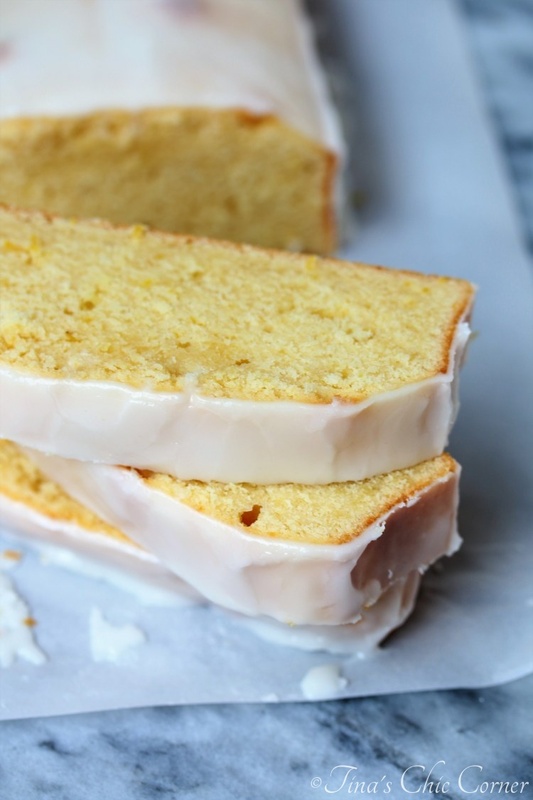 I love a plain pound cake, but this lemon version is really top notch. Can you se the lemon zest specs in the cake? Yum. The icing is also packed with lemon flavor (even more than the cake itself in fact), just to drive the point home. However, if you want to serve lemon cake at a BBQ, i.e. you don’t want to deal with melting icing, then feel free to skip it. 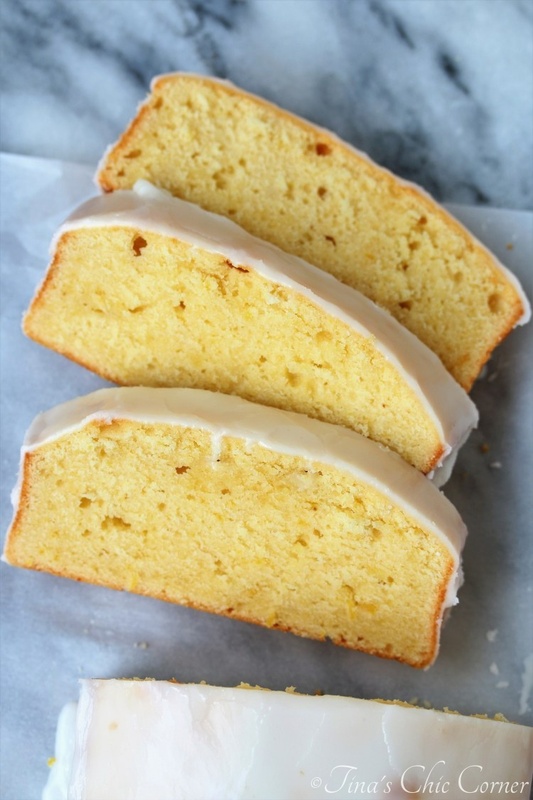 You’ve still got loads of lemon-y goodness going on in the pound cake. Maybe add some vanilla ice cream or whipped cream with berries. Double yum. Preheat the oven to 350 degrees F. Grease a 9×5 inch loaf pan and set it aside. I lined the loaf pan with parchment paper to make it easier to remove from the pan after it’s cooked, but this is not required. In a medium bowl, whisk together the flour, baking powder, and salt and set it aside. These are the dry ingredients. Beat in the eggs on low speed, 1 at a time. Beat in the sour cream, lemon juice, lemon zest, and vanilla extract on low speed. Slowly add in the dry ingredients and beat on low speed just until combined. Then turn the mixer to high speed and beat (about 10 seconds) to make sure there are no large lumps. Make sure not to over mix the batter. Pour the batter into the prepared loaf pan and spread it evenly. Bake it in the preheated oven for 45 minutes to 1 hour or until a tester inserted comes out clean and it’s slightly brown on top. I baked mine for 55 minutes. In a small bowl, whisk together the powdered sugar, lemon juice, and milk until it’s smooth. Once the cake has cooled completely, pour the icing on top. Let the icing set before serving. This does look so refreshing Tina. I’ve never baked anything lemon flavored believe it or not. I think I’m going to try this. This is awesome Tina! Thanks for the recipe. Lemon is good for health and a recipe with lemon makes it refreshing. Great! Thank you so much, Sam! !